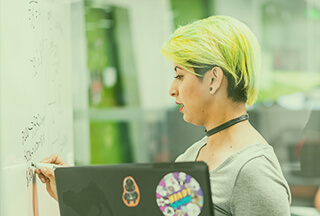 The Civilian team within VMware is a high-energy, passionate team of salespeople with a desire to succeed and drive the digital transformation within the Civilian sector. Although you are an individual contributor within the business, you will be part of a team with a strong identity, and a reputation for a high standard of work and achievement. You will have the opportunity to craft and execute on your business plan through your own efforts and through the management of your matrix sales team. Our Client Executive team is made up of passionate and high-reaching sales consultants who are committed to integrating within our customers’ business to offer premier VMware solutions to Civilian Accounts. The Client Executive will be responsible for solution selling by orchestrating and demonstrating VMware’s Systems Engineering, Product Specialists, Professional Services, Partner Channel, Inside Sales and other VMware resources to drive net new revenue for the company. VMware has and continues to build a top performing sales team who has the desire and determination to deliver. Are you the quarterbacking the account, orchestrating resources and selling solutions to your customers?